Definitely not what it used to be-in such a good way! As much as I loved The Red Badge of Courage, Tex and Flowers for Algernon it’s nice to be able to choose my reading list this summer. 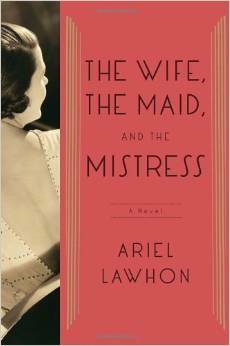 The Wife, the Maid and the Mistress by Ariel Lawhon should be first on every woman’s list. Fast paced, easy beach read! You Should Have Known a new release by Jean Hanff Korelitz is next in line for this girl. It is the story of a woman whose perfect life falls apart and what it takes to rebuild. I started The Hotel on Place Vendome on a Tuesday and finished it Thursday night. The story is one of grandeur, intrigue, decadence, espionage and resistance that existed at The Hotel Ritz-the epicenter of the German occupation of Paris during WWII. The Valley of Amazement by Amy Tan was sooooo good! Typical of Amy Tan, the novel has many layers-its most basic being the complex relationships that exist between mothers and daughters. Did I mention that I have been into Sci-Fi lately??! The 5th Wave is a YA novel that had me hooked from the first page. It’s in production to be a major motion picture starring Chloë Grace Moretz (love her!!). Be on the lookout for its sequel The Infinite Sea out this September. Yes, I have already pre-ordered my copy from amazon.com! I gave Clapton: The Autobiography to my Father for Christmas a few years ago. All I thought I knew about this extremely talented musician did not even scratch the surface of his unbelievable story and the path he traveled to become the man he is today.